The major problems the world faces have increased since the turn of the millennium. Recurrent storms on the financial markets have ravaged many countries, poverty is still widespread, notwithstanding decades of massive development aid, the environment remains in acute jeopardy and the major world institutions have often reached an impasse in attempting to combat these difficulties. The issues ask for rapid and consistent action by policy makers but the interests of international organizations, such as the WTO, World Bank and Kyoto protocol, have become too diversified to come to multilateral agreements setting uniform rules and asking for strict compliance with these rules. Alternative solutions are sought and development in the future is likely to be characterized by fuzzy and complex interactions between flexible groups of actors seeking agreements on the solutions for the most pressing new problems. Progress will become rather unpredictable and will depend on time, place and subject specific cases as well as convergence of interests. This need not be only negative. Flexible solutions have the advantage that they can be easily adapted in case the conditions change. 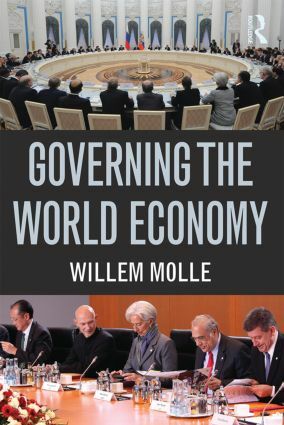 In this new book, the follow up to his Global Economic Institutions, Willem Molle maps out the unfolding of this process.